My scans for new shops picked up Yamafuji, in Sakaisuji Honmachi. I didn't know too much about it, but it was in a good location, so I ambled over to check it out. Giving nothing away, the ramen was called "Yamafuji Ramen", leaving even the style a mystery. 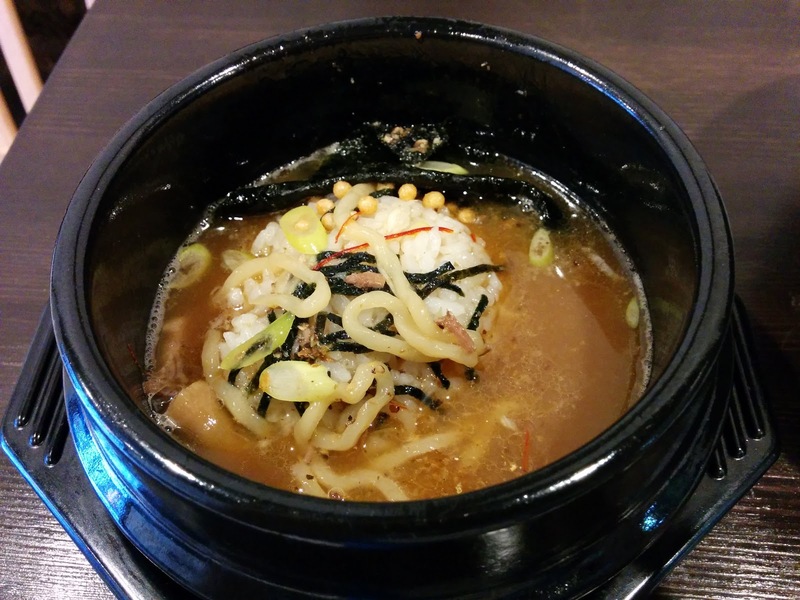 It turns out the ramen was a seafood pork bone broth. 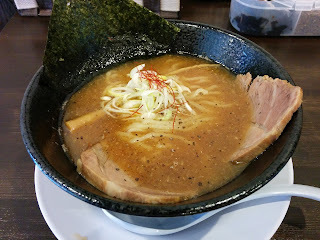 The soup was grainy: a lid of hot oil containing very peppery seafood flavors in the vein of Osaka classic Tamagoro. The curly noodles went down easy, but were just a bit too thick to be coated by the spiced oil of the broth. There were two thick slices of pork that were tough, but nice and simple. Overall solid, and there was a bonus ochazuke addition of rice and seaweed at the end. It was a nice if gratuitous bonus. It was alright but I don't need to stop by again. I would push this restaurant in particular for Tamagoro fans.